My journey here is nearing the end. 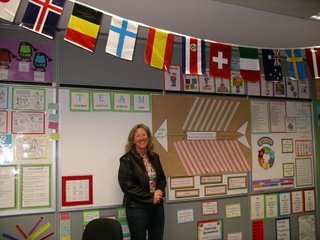 It's been an absolute delight to be a part of this fabulous teaching team and to share in their PYP journey. 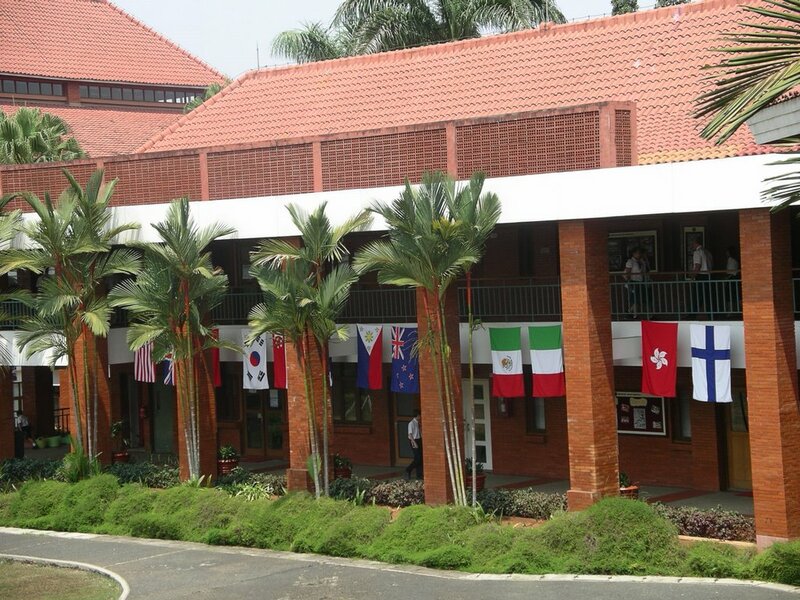 I would like to take this opportunity to thank the staff, children and parent community of Global Jaya for welcoming me so warmly into their school and for making my stay here so rewarding. This exchange experience creates opportunities for us to grow and develop our awareness and understanding of the world, and makes us aware of the responsiblities we have as global citizens. It's not goodbye but until we meet again! Time is slowly drawing to a close. I can't believe how much I have managed to fit into such a short period. Spent yesterday nursing a gurgly tummy. Nothing that kept me from doing things, but I just felt out of sorts and ate very little. Global Jay had a small farewell assembly for me where they presented me with the most beautiful Indonesian batik. I read Wombat Stew to the children with the help of a few year 6's using the puppets. Chris McNamara would have been proud! The students just loved it and were chanting the rhyme by the end of the story. They really are the most gorgeuos bunch of children. Each morning I am greeted with "selamat pagi Ibu Jane", "good morning Ibu Jane". 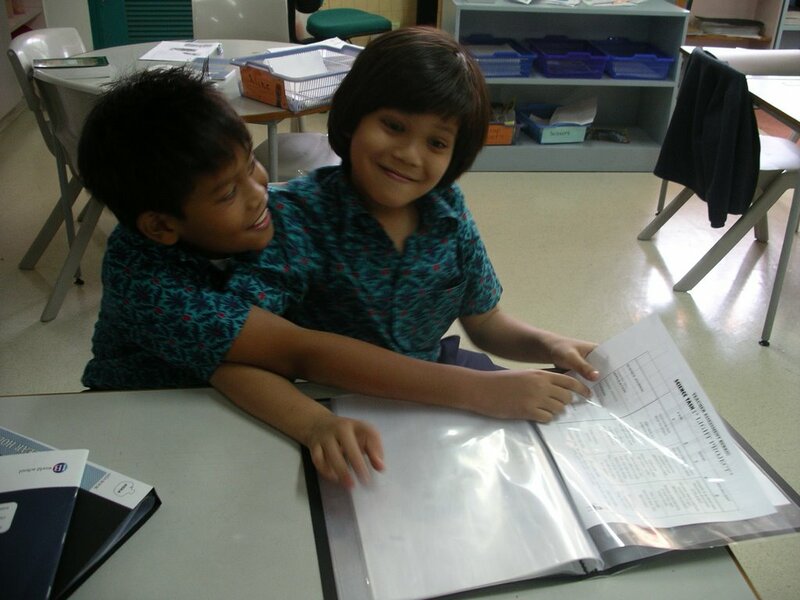 As with children all over the world, they love learning, they love their friends, they love their teachers(! ), they love chatting, they love games and they love new challenges. 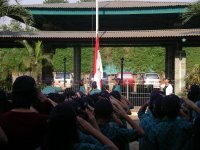 I have thoroughly enjoyed being a part of their school lives. We all agree here that one week is much too short! 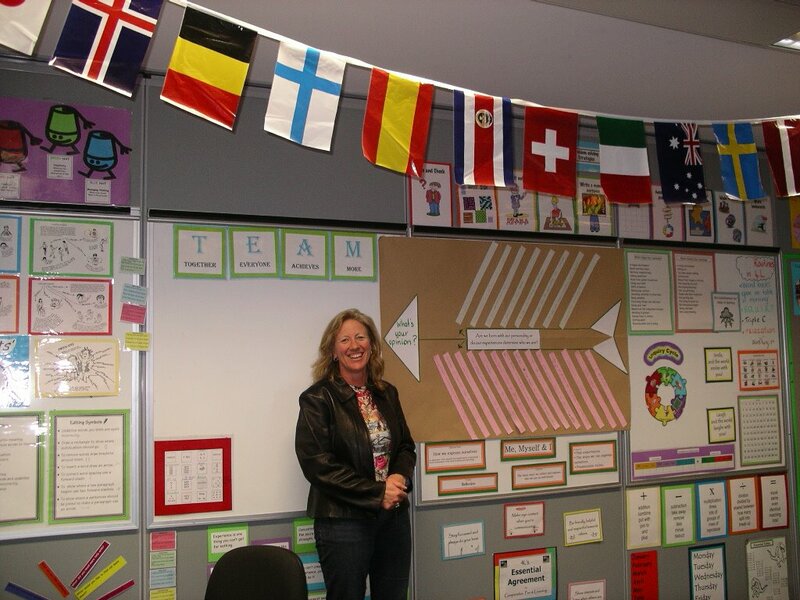 Preparation for SLC were well underway yesterday with staff working at a frantic pace to complete corrections, put up displays and tidy rooms. It reminded me of Open Night! Went to a night market with Ibu Mida, Ibu Juni and Ibu Dewi, David and Carmel. It was actually a collection of stalls set up between the shops inside a huge shopping centre. There were cars and people everywhere with plenty of things to see and buy. Not feeling the greatest, I was a little overwhelmed by the options available to me and didn't see anything that jumped out saying "Buy me, buy me!" Consequently, my wallet stayed in my pocket. My Indonsesian friends chose Italian for dinner and shared a pizza and garlic bread. I drank iced tea. 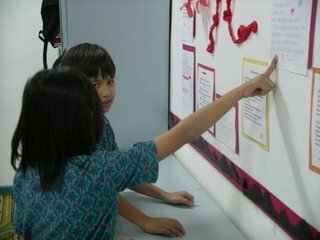 SLC's are now well on the way and the children are all engrossed in sharing their learning with their parents. The atmoshphere in and around the rooms is one of total focus and commitment to the purpose of being there. It's a sheer delight to observe! Will be sitting down with Ibu Mida and Ibu Kathryn this afternoon to go through their documentation, gathering ideas that will be useful to us at StLeonard's. A quiet night at home is planned for this evening. Well at this stage anyway! So long for now. Hi to everyone in the St Leonard"s community. I'm glad you all managed to decode my last entry. Have just reread it and didn't realise it had so many typo errors in it! Couldn't find the spellcheck on the blogger, so will try a little harder to make my mind keep up with my fingers. Actually, it was a test for the Year 4's to see how many errors they could pick up!!. This is a very late entry toda. 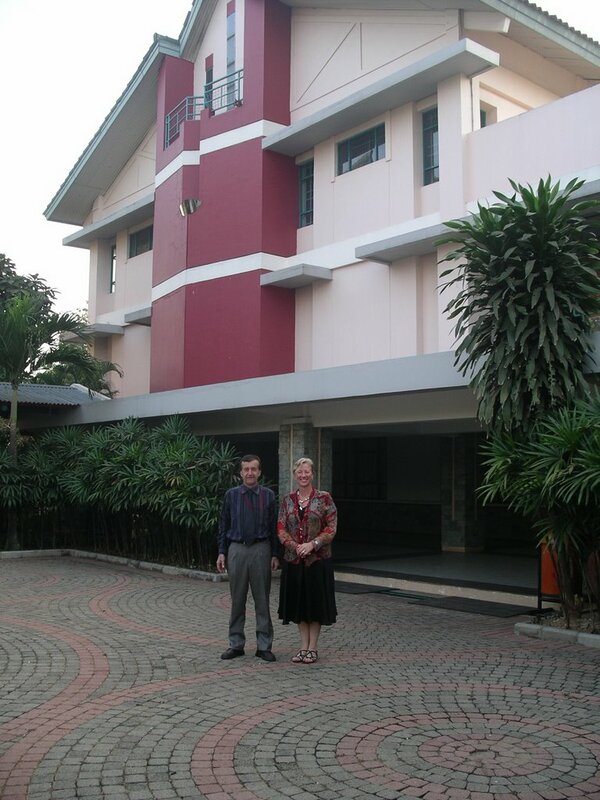 Unfortunatley I have no access to the internet at my host house and we headed off at 7:00 am this for the PYP Dunia (world) network meeting at Sekola Pelita Harapan, another PYP school situated in another part of Jakarta. There were representatives from all over Indonesia: Bali; Jakarta, West Java and it was a wonderful opportunity to speak and listen to all they had to share about their PYP journey. Most of the people there were coordinators for their respective schools. I did us proud! I was asked to speak a little bit about the exchange program between Global Jaya and our school and after yesterday's presentation to the staff here, I'm feeling pretty comfortable about public speaking. The tapping is working! I gave them a brief overview of the types of PD inservices and workshops available to us and then had them up and moving: used the attitude cardsI use with year 4 for some spontaneous role plays; showed them our draft critical thinking scope and sequence and then got them to work in groups using the thinkers keys; played some games for the workshop and also talked briefly about BrainGym. It's very hard to be effective in 1 hour but they all seemed to enjoy it and were very positive. With that stress out of the way, Carmel and I went to a 'Salon' for a well earned body massage. Sheer bliss! Although it was quite firm and certain parts she touched were very tender, I just floated out of there when it finished. I am now about to visit year3 and observe them pracitising for thier Student Led conference. I hope my awsome year 4's are having a wonderful time. It certainly sounds like it. Many thanks for all your messages. I will endeavour to get onto the net by 7:00 tomorrow so you can access this earlier. Stay happy and remember to make the most of every moment! Hello to everyone back at St Leonard's College. I have arrived! I spent the long plane journey ocuupying myself with the usual things you do on a plane: eating, watching video, eating sleeping, eating! Managed to have a reflexology foot massage in Singapaore between flight, which certaily rejuvinated me. Well my feet at least! From the moments I stepped off the plane my time here in Indonesia has been go, go, go! Was met By Ibu Mida at the airport and taken to a wonderful chinese restaurant for some scrumptious authentic chinese cuisine: quail's eggs, salted fish & beef and tofu. Yum Yum. Arrived at my host family and promptly collapsed into bed around 10pm Indonesian which is 1am Aus. We are three hours beind here. On sunday I took a Ojek ride (a motorbike taxi) to a local market. this was quite an experience. Mnay of the Indonesian drivers wear bare feet and there's no helmets to be seen. I loved it! There was so much to see and I got to peek down all the little alley ways and watch people going about their daily routines. We wandered around the food market which sold an array of fresh food products, some of them extremely fresh and in the process of being killed. It was a wonderful experience. for luch I was taken to a traditional Indonesian restaurant which was exquisite in both it's food rpoductiona dn presentation and also the ambience of the place. The menus were little carved wooden doors that opened to reveal the course available. 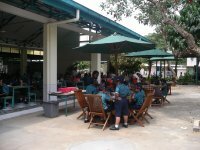 After lunch we wne t to a larger department store that sold Indonesian atifacts and I've bought a few treats for the Junior school. Like StLeondard's, Global Jay is an impressive school. It has a very tropical feel to it: very colourful; lots of open areas and wonderful aromas coming form the state of the art caffeteria. School starts here at 7:30 and finishes at 4 so it's a long day for the children. 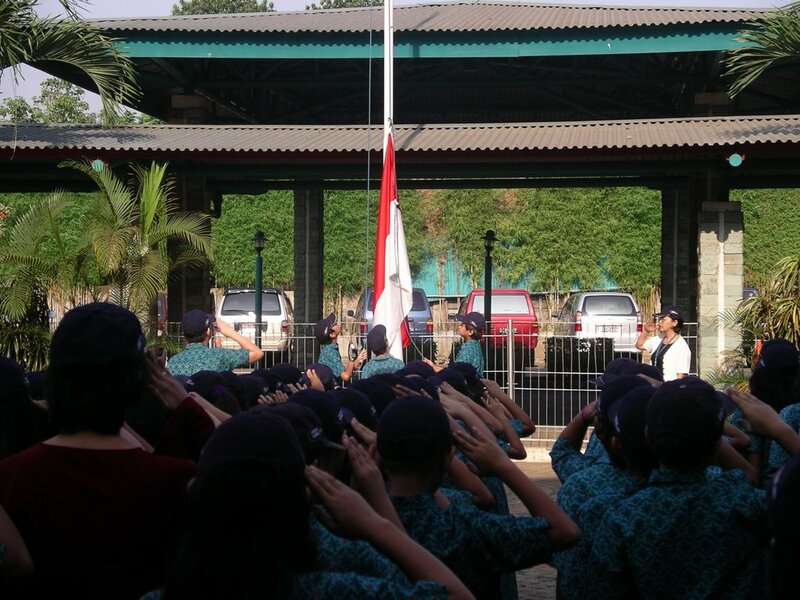 We started today with a flag raising ceremony, 'Upacara' , which is done every fortnight. 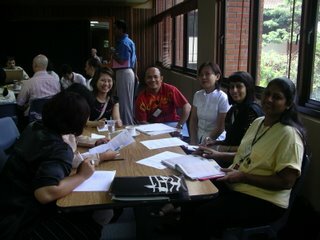 Will be spending my time today in various classrooms watching th Indonesian teachers. 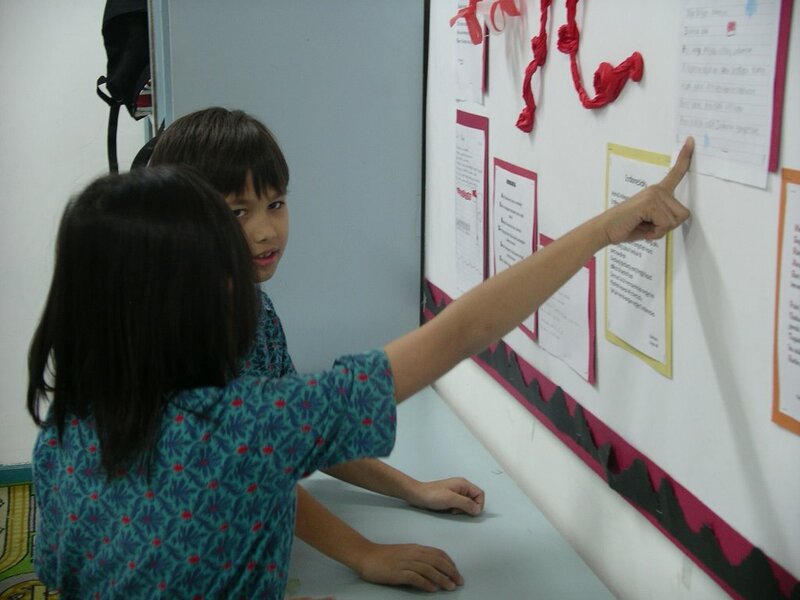 The children and staff are preparing themselves for Student Led Conferences on Thursday. Stay tuned for more news from Global Jaya. Over and out! 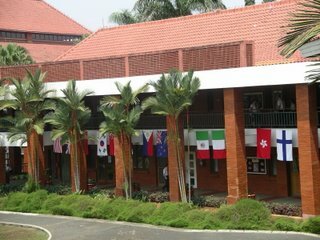 All the staff, students and College community wish you a safe journey and are looking forward to hearing all about your wonderful experiences at Sekolah Global Jaya.